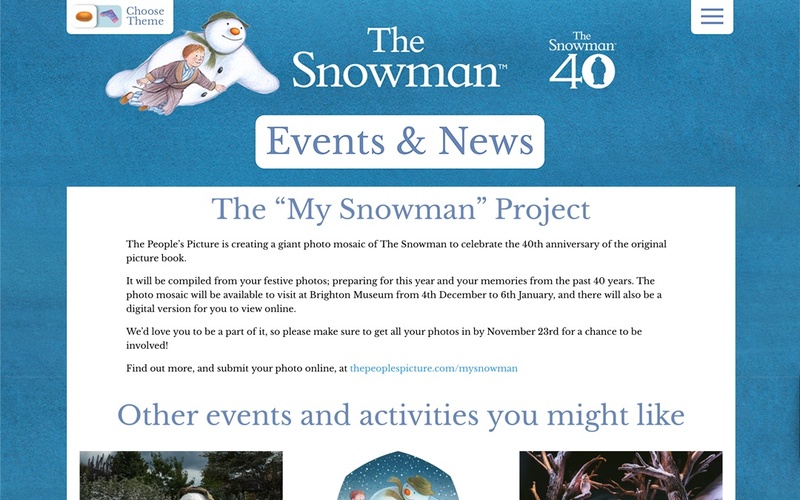 The People’s Picture is creating a giant photo mosaic of The Snowman to celebrate the 40th anniversary of the original picture book. It will be compiled from your festive photos; preparing for this year and your memories from the past 40 years. The photo mosaic will be available to visit at Brighton Museum from 4th December to 6th January, and there will also be a digital version for you to view online. We’d love you to be a part of it, so please make sure to get all your photos in by November 23rd for a chance to be involved!